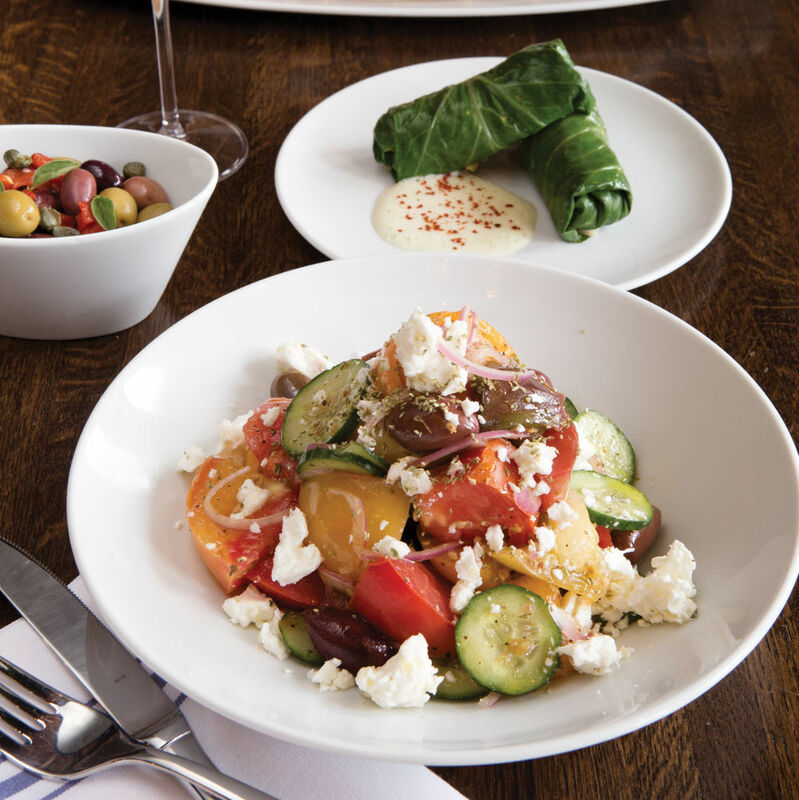 Go beyond the gyro and delve into the city's pan-Hellenic offerings with our top picks. 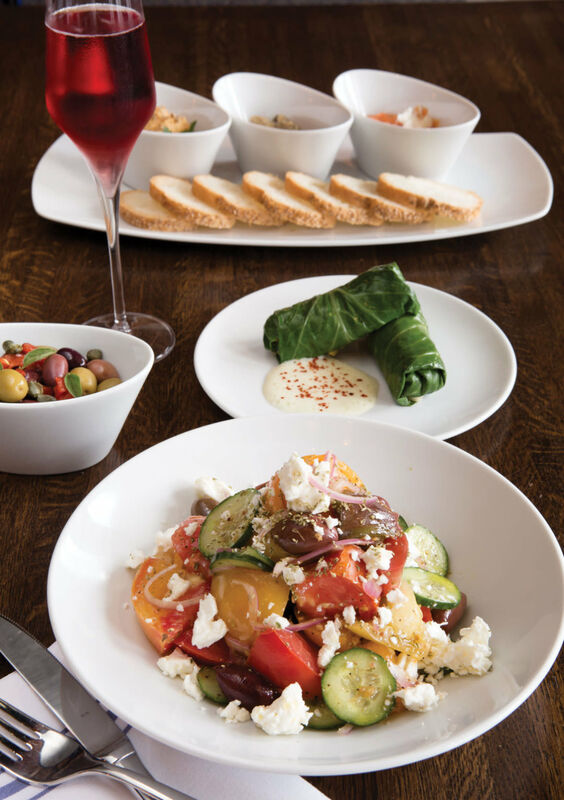 Helen Greek Food & Wine has been recognized as one of the best new restaurants in the nation. 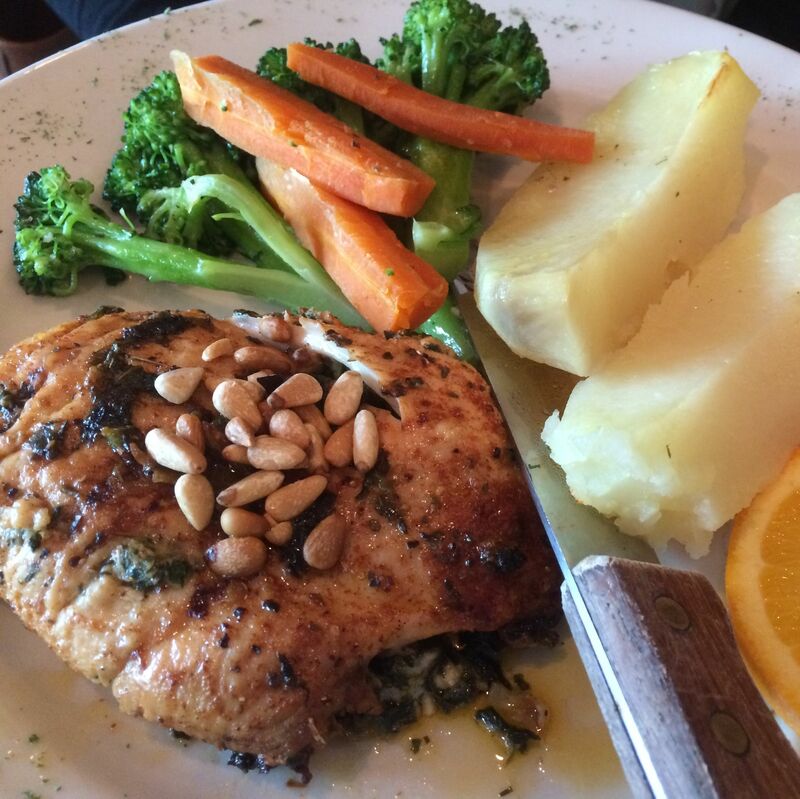 The dining room at this Galleria-area favorite feels like the Karnezis family’s home kitchen, whether you come for lunch or dinner (weekends bring a Greek band and belly dancer). Order the saganaki—fried sheep cheese served flaming, thanks to a dribble of ouzo—for a taste of drama at any time of day. A dusky taverna atmosphere belies the fact that this storied Montrose bungalow was once owner Ilias Giannakopoulos’s home. But once we tasted his comfort food, it made perfect sense. 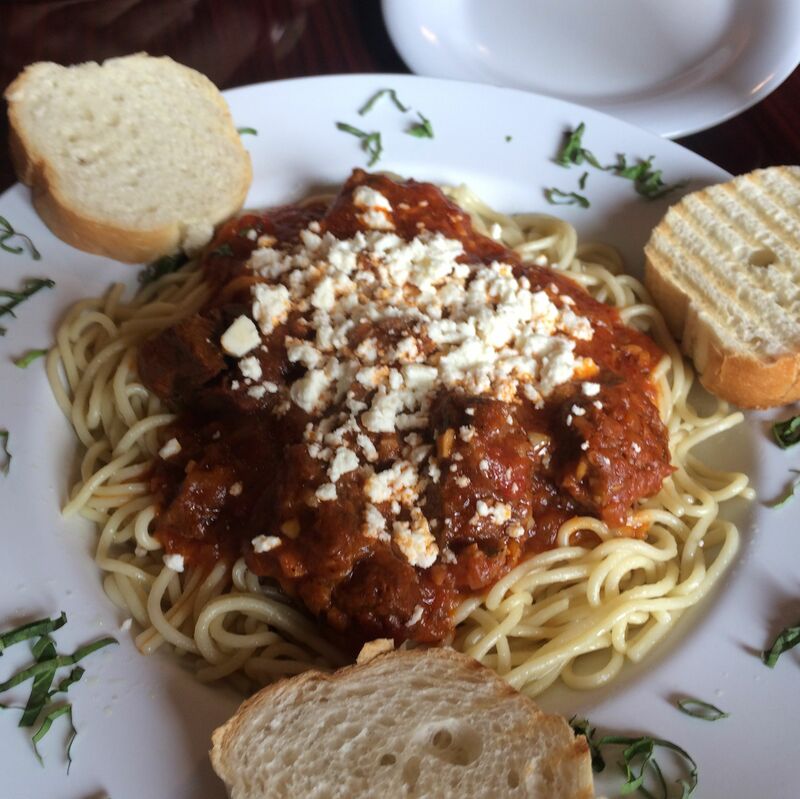 We couldn’t help but finish the full plate of kokkinisto, garlicky beef stew served over spaghetti with a shower of feta on top. 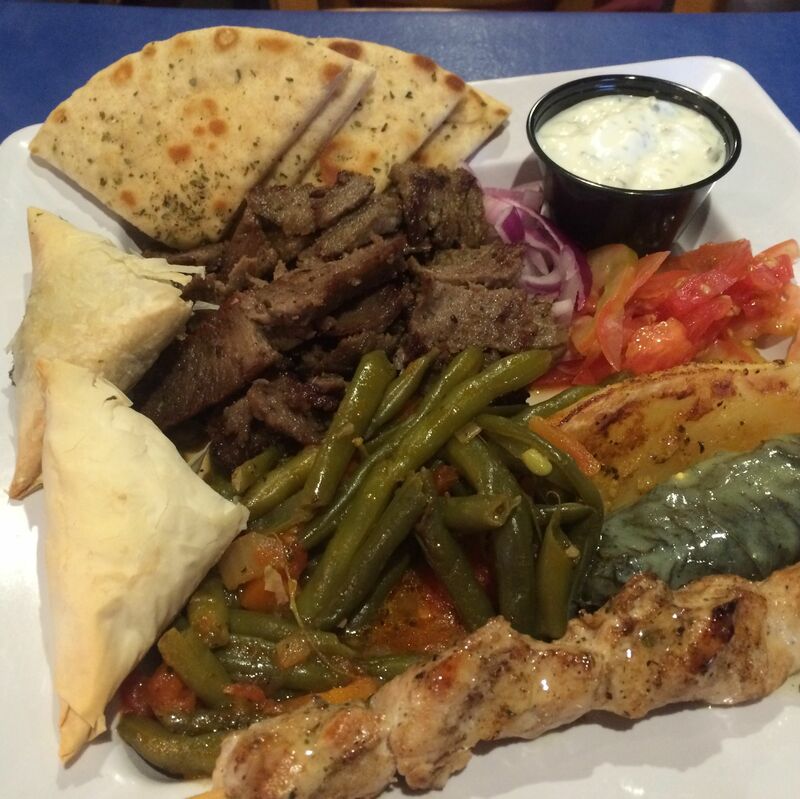 The herbaceous lamb souvlaki is notable, too, and we loved the crisp fries. 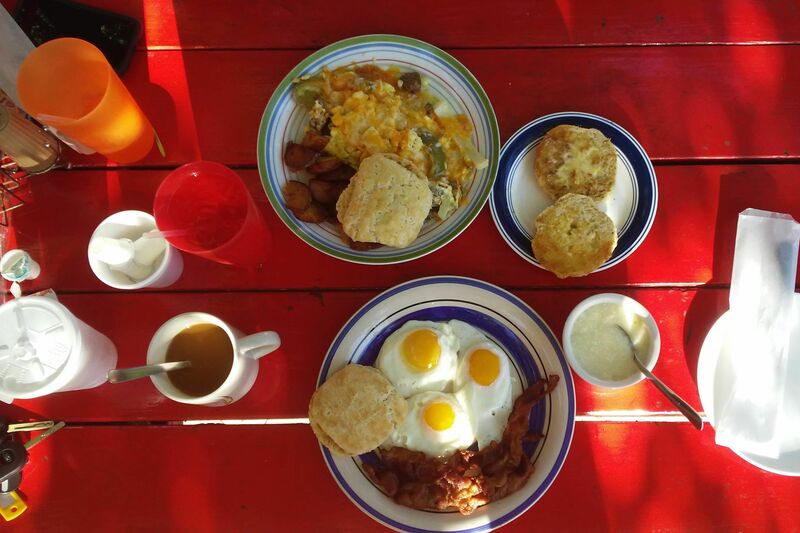 East End prices make it easy to enjoy a feast at this no-frills, counter-service spot. 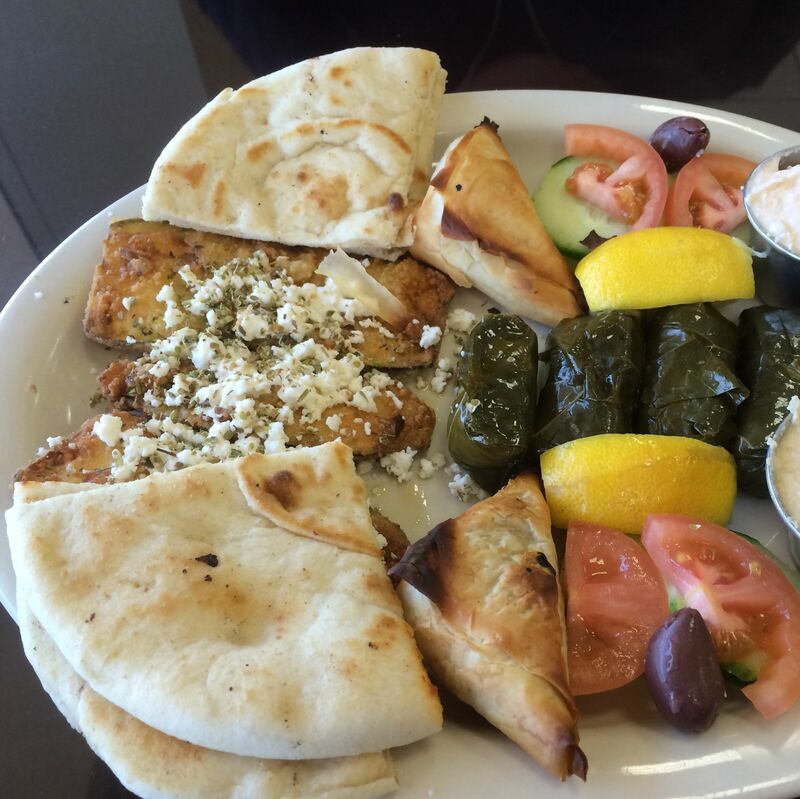 The appetizer combination platter, less than $12, comes stacked with seven different small bites. Among them, the rice-stuffed grape leaves known as dolmadakia, tart with fresh lemon, make for a great contrast to the creamy caviar spread and thinly sliced, fried zucchini. 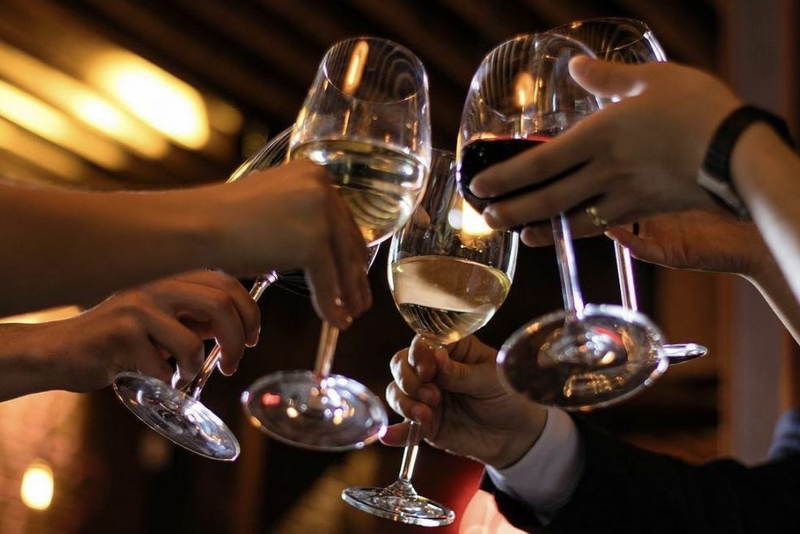 It took sommelier Evan Turner years to open his upscale Greek restaurant, but when he finally did, tucking it into the narrow space once occupied by Kahn's Deli in Rice Village, the James Beard Foundation named it a semifinalist for the title of best new restaurant in the nation. 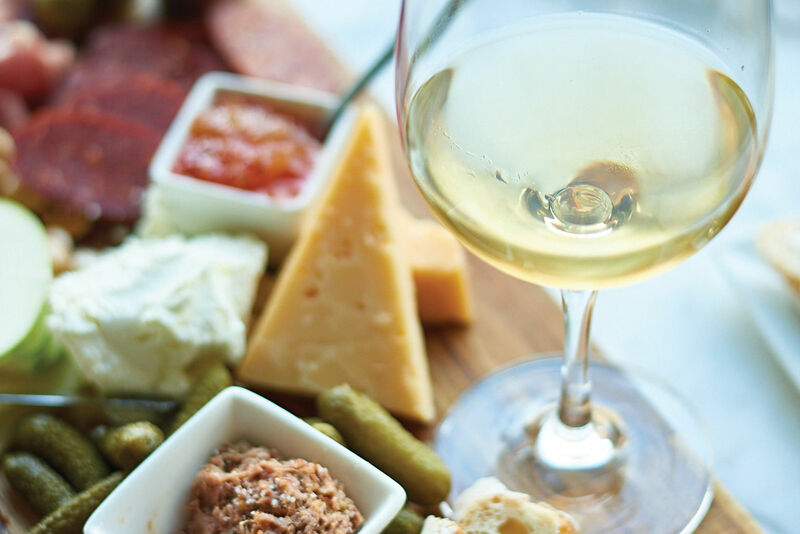 Houstonians flock here for chef William Wright’s flaky, rose-shaped greens-and-cheese pies, hand-packed pork gyros and Texas pecan baklava sundaes, as well as the amazing array of Hellenic wines. 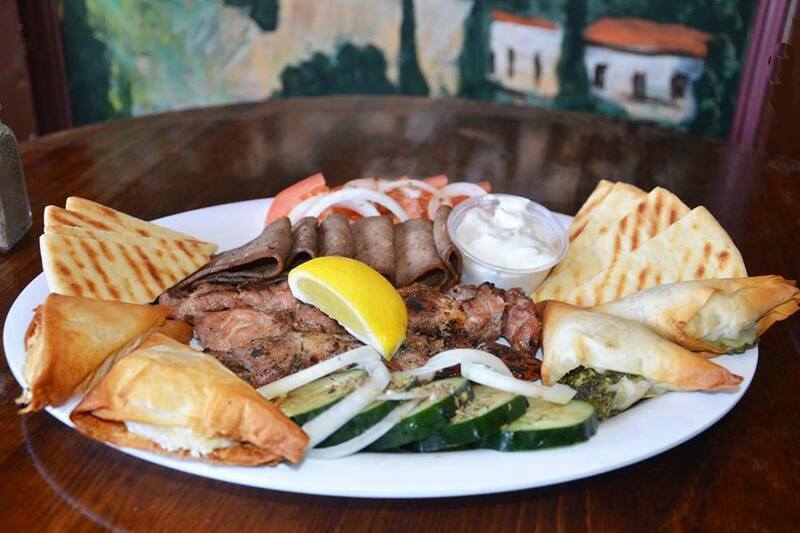 No tour of Houston's Greek restaurants is complete without a visit to Montrose favorite Byzantio. 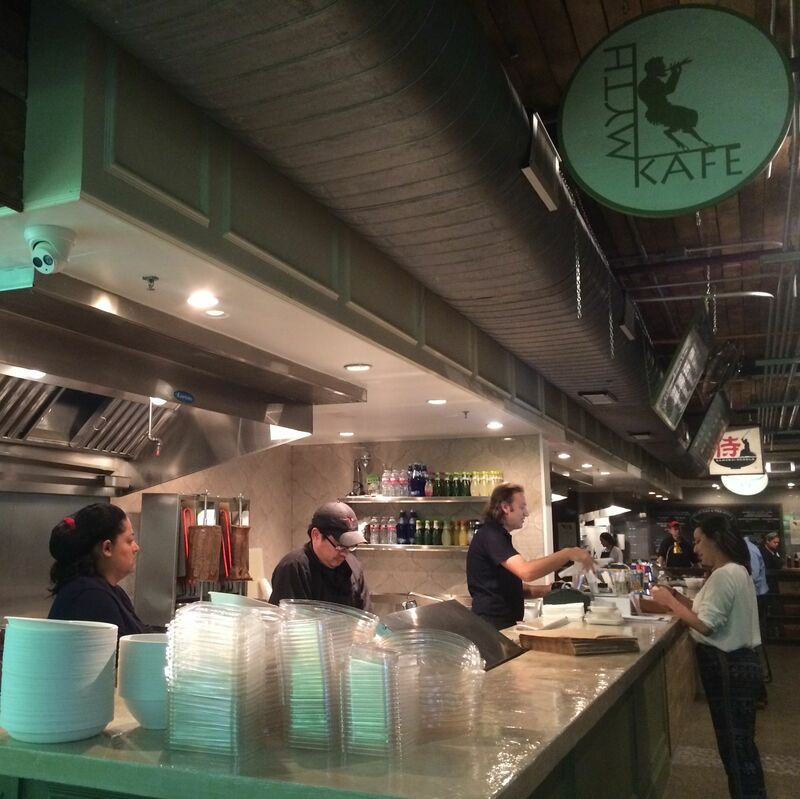 Myth Kafe recently moved into a new location downtown, inside Houston’s first modern food hall, Conservatory, next to a biergarten. At dinner, kefalotyri cheese is set aflame as saganaki, a great way to ease into a plate of the garlicky, long-marinated lamb dish called arnadiko and a glass of Greek wine. 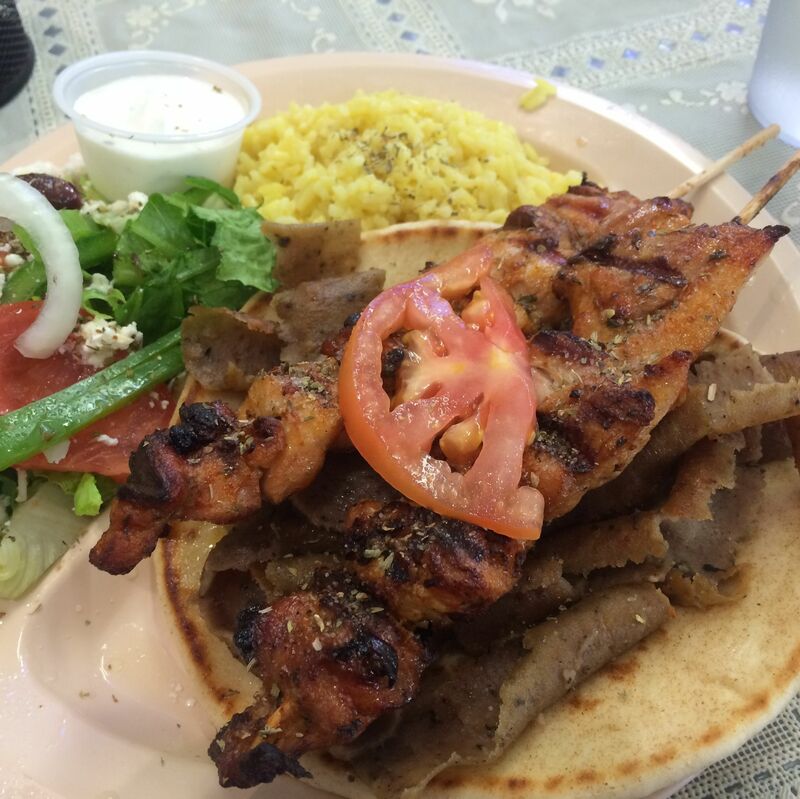 Yes, you should expect a line that stretches into the parking lot if you arrive at this Montrose warhorse after 11:30 a.m. for a weekend “Greekfast.” But never mind: the combo of Greek sausage, runny eggs and salty grilled halloumi cheese, served with pita and a salad, is worth it. 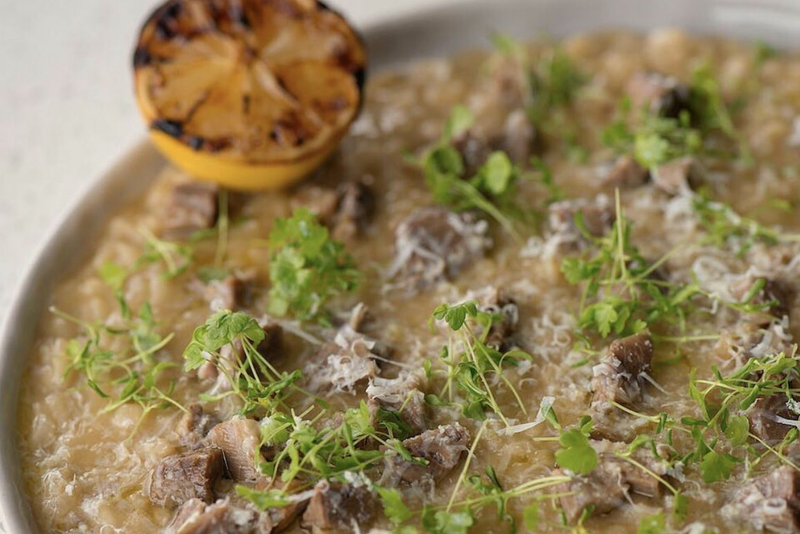 This restaurant in The Woodlands serves our favorite moussaka anywhere. Layers of tender eggplant and potato sandwich ground beef that sings with cinnamon, all of it woven with tangy house tomato sauce, Béchamel sauce and Greek cheese. Looking for something lighter? 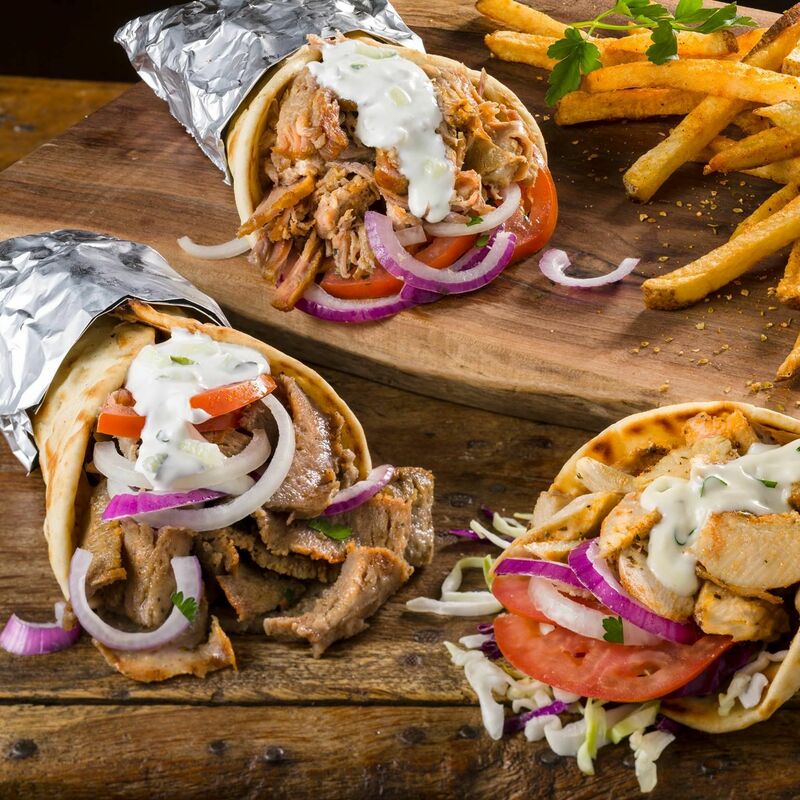 The crisp-edged gyros are exceptional, too. 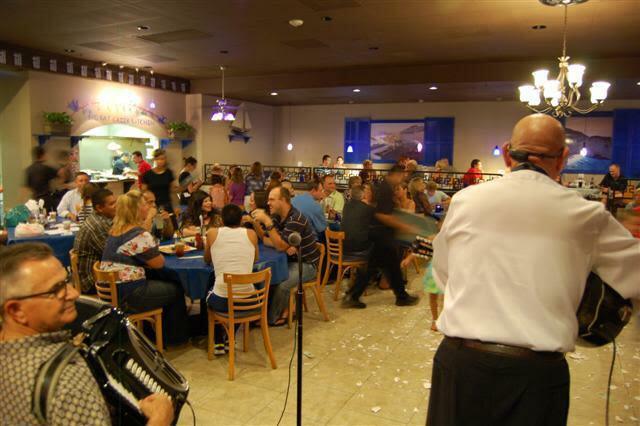 Come for the moussaka, stay for the music at The Olive Oil. The dill-speckled soup known as avgolemono, thickened with egg and flavored with lemon, comes in many forms at this counter-service spot. Our bowl, filled with tender meatballs, tasted like liquid sunshine on a rainy day. The big, authentic flavors are no surprise: The owners had a restaurant in Thessaloniki before moving to the Humble area in 2009. We can’t help but envy the workers in the office building in far east Spring Branch, just off Highway 290, that shares space with this little grill. 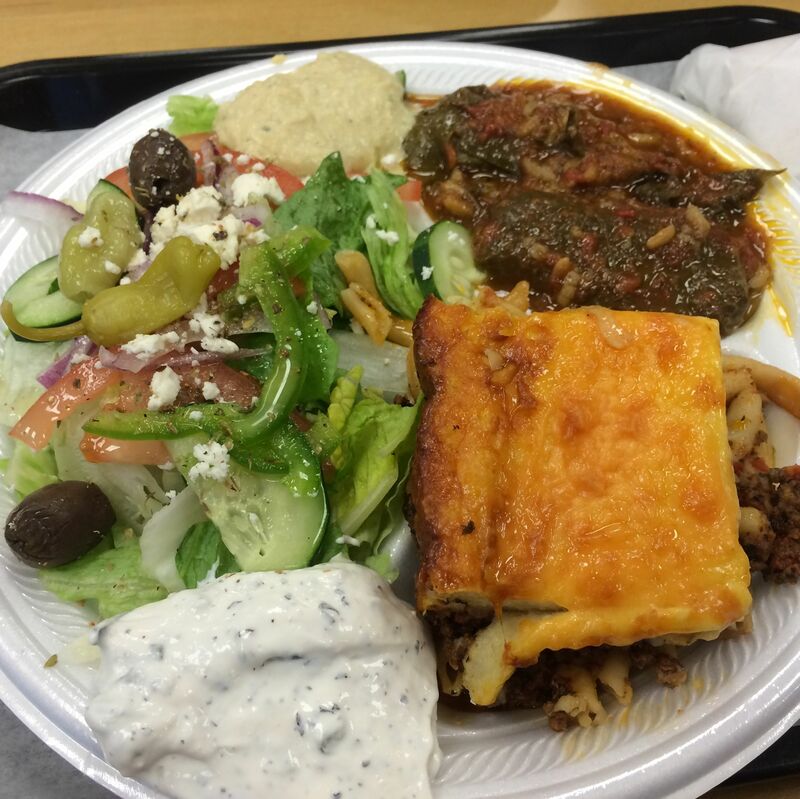 On any given day, they can order a Greek combo plate—creamy pastitsio, paired with tangy, herbaceous hummus; warm dolmades in tomato sauce; tzatziki; and Greek salad—before returning to their tasks. A wood-burning grill fills the cavernous room at this popular Uptown restaurant with the smell of oak smoke, flavoring fish and meats with its flames. Clean, fresh seafood such as whole branzino or a mixed grill featuring lobster tail, shrimp and calamari make this the area’s only Greek fish specialist. 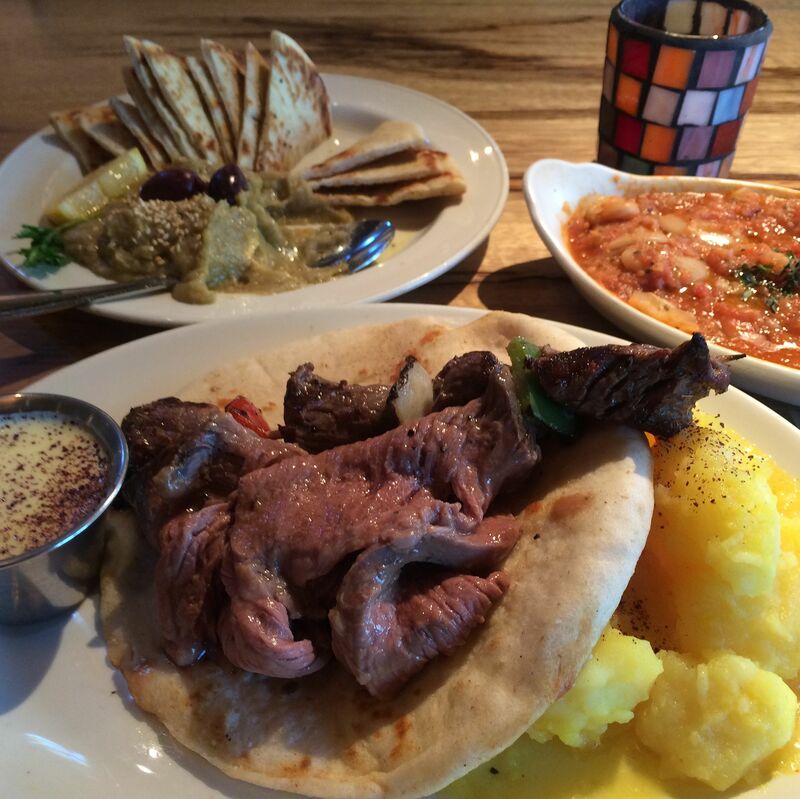 But those who prefer meats raised on the land can’t go wrong with rotisserie-carved lamb tucked into warm, chewy pita bread. $ Greek 10777 Northwest Fwy. $$ Greek 6730 Atascocita Rd. $$ Greek 373 Sawdust Rd. $ Greek 1010 Prairie St.
$$$ Greek 2429 Rice Blvd. $$ Greek 5420 Lawndale St.
$$ Greek 403 W. Gray St.